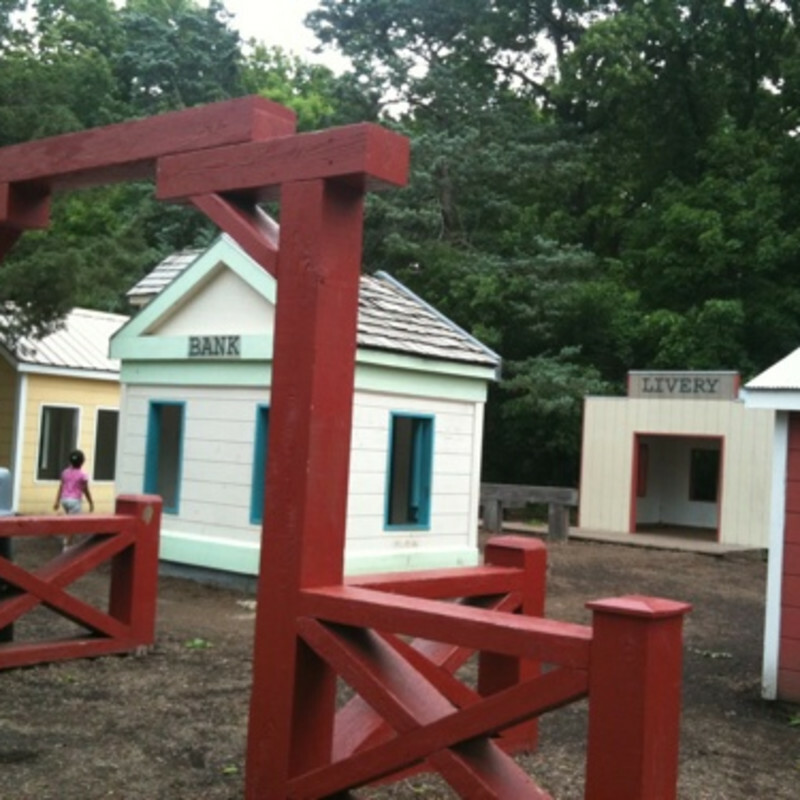 Situated in the sprawling Antioch Park, the Dodge Town play area features pint-sized buildings that transport children to the Wild West. The row of main buildings includes a general store, post office, hotel, and bank. This quaint miniature Main Street creates the perfect setting for pretend play and games of hide and seek. Nearby, there are two adjoining, modern play areas that include a rock wall, jungle gym, and slides. The playgrounds are all accessible for wheelchairs and strollers. There are also plenty of benches and picnic areas, making Dodge Town Park an ideal destination for the entire family.